You head off the main road and take detours cross country, to see where they take you. You embrace the road less travelled, the path not taken; always following your heart, never following the crowd. Your journey shows curiosity, individuality and a free spirit. 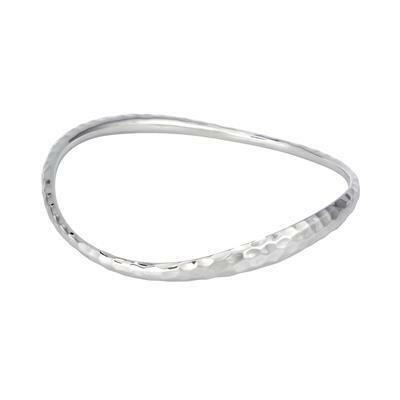 The elliptical shape of the bangle represents the detours on your journey through life. The hammered finish to the Sterling Silver represents the uneven ground you are happy to travel across.